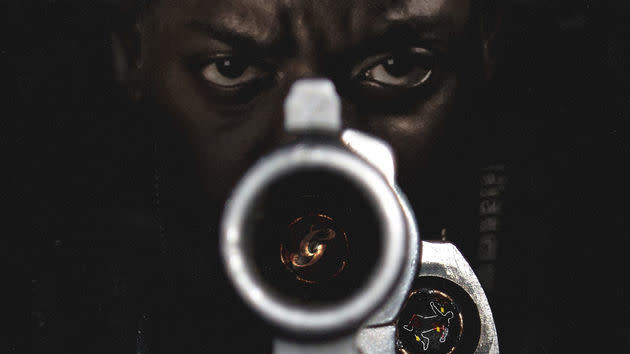 After previously dropping off his new collaboration with Jadakiss ("No More)" and helping build anticipation, Uncle Murda (also known by his government name, Lenny Grant) has officially released his new mixtape, Don't Come Outside, Vol. 1. The project spans 14 tracks and includes a slew of noteworthy guests in addition to Jada, including Young Dolph, Maino, Trick Trick, Dave East and his G-Unit Record boss, 50 Cent, among others. Murda, who was signed by 50 back in November 2016, has been steadily building his fanbase and putting on for New York hip-hop throughout the past decade, with his latest release a solid addition to his ever-growing catalog. "The wait is over," the Brooklyn native wrote on Instagram, sharing the album's cover. "You're all welcome. You need people like me so you can point ya finger and say that's the bad guy #Rap2017Coming." Take a listen to Lenny Grant a.k.a. Uncle Murda's latest mixtape, Don't Come Outside, Vol. 1, below. Maino And Uncle Murda, Brooklyn's N.W.A.